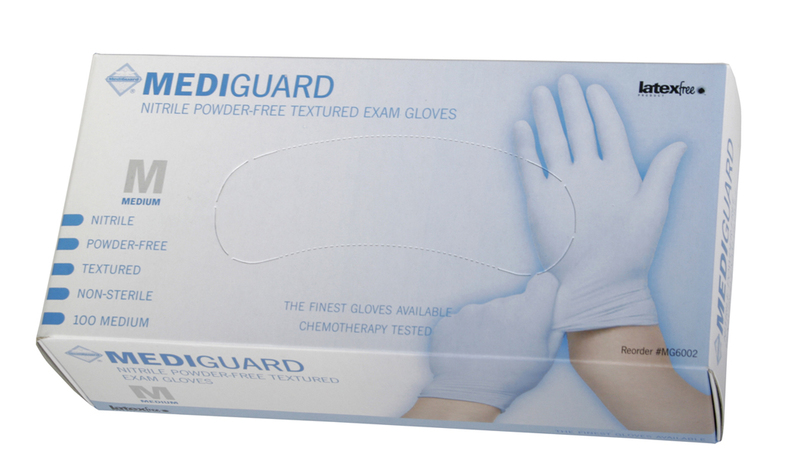 Mediguard Nitrile Exam Gloves are made from 100% soft nitrile, a synthetic compound that's completely free of skin-irritating rubber proteins. These leading-edge nitrile gloves conform to your hands far more comfortably than other non-latex glove alternatives such as viny lor latex. 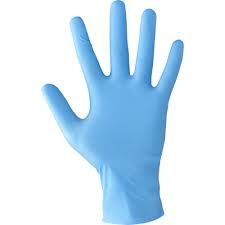 You get a cool, dry, precise fit with far less hand fatigue. The Medi-Gaurd Nitrile Glove is far more resistant to punctures and tears than either latex or vinyl and stand up to a variety of splashed chemicals, solvents, oils and bases. Quality Standards • Conforms to ASTM D3578 (05) and EN455 (part 1, part 2, and part 3) Standards. • Manufactured under QSR (GMP) and ISO9001 : 2011 Quality Management System.